The central Piazza Garibaldi occupies the site of the ancient Foro Romano. 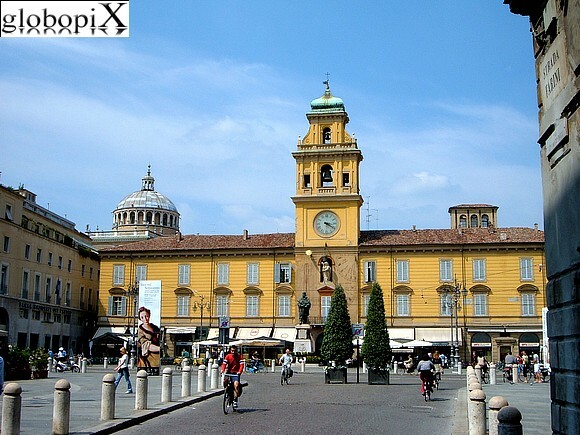 On the northern side of the Piazza is Palazzo del Governatore a building from the XIII century. The central tower is from 1673. The dome of Piacenza's Battistero.